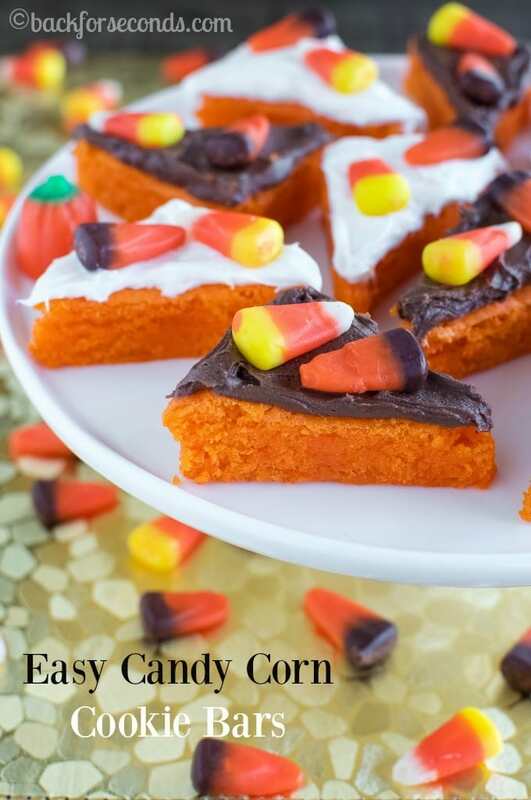 These Easy Candy Corn Cookie Bars are soft and chewy with creamy frosting and adorned with candy corn! 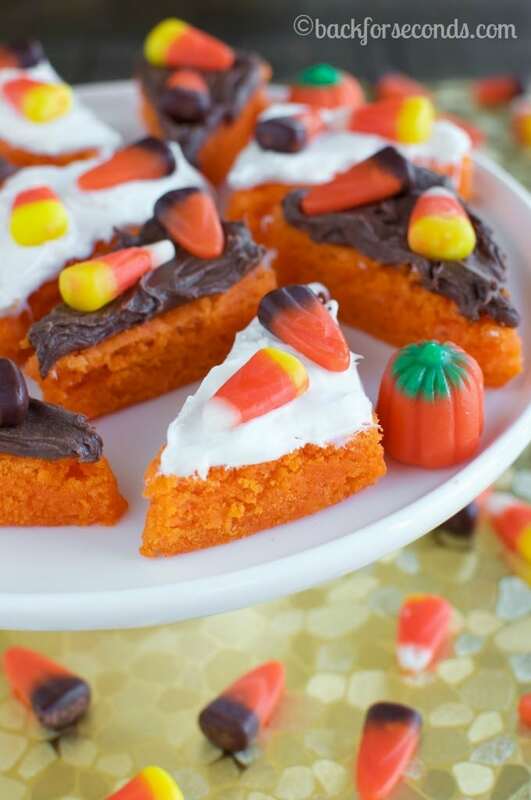 They are a festive fall treat that everyone will love! Thanks to the J.M. Smucker Company for sponsoring this post! 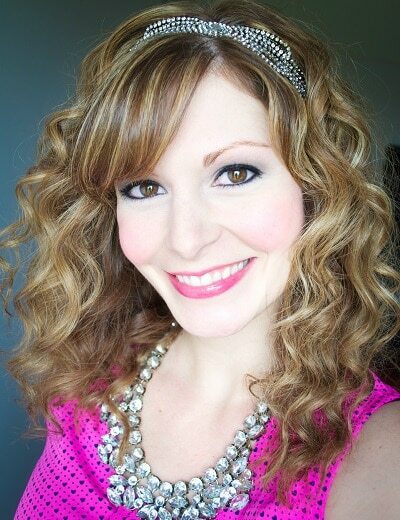 Yes, I did it again – I made another bar recipe! I can’t help myself. They are so quick and easy, and now with 5 small children needing my attention, quick and easy is necessary! The bars themselves only have 3 ingredients and take about 5 minuted to make! 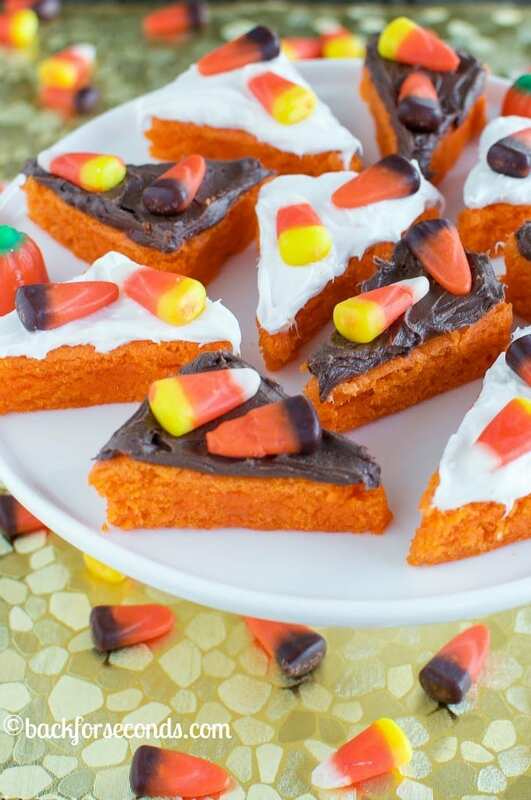 This is the perfect halloween, thanksgiving, or fall treat to make with your kids! 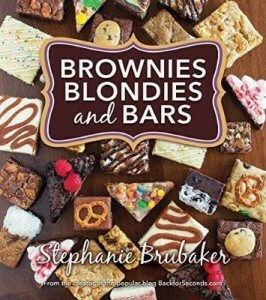 So, Pillsbury is awesome and sent me some brand new goodies to try! As soon as I saw the fun orange cake mix I knew I had to make a halloween/thanksgiving themed treat! These bars came out so soft and light, and despite the bright orange color, they are not actually orange flavored. They have a lovely butter cake flavor with a soft, light cookie texture. I opted to use 2 different frostings just because it looks prettier that way, but you could use any flavor of frosting you like. The vanilla marshmallow frosting was sure tasty on these bars!! So if you need a festive fall themed dessert and don’t want to fuss – make these! They are so yummy and unbelievable easy to make! These bars look like so much fun! Definitely a project for the kiddos! These *do* sound easy! Perfect when there is a lot of running around right now, trying to perfect costumes 😉 These make a great festive treat for Halloween! Oh my! How cute are these little bars! So festive! Wow, a party in my mouth. My kids would go insane if I made them something like this. How fun! I love how quick and easy these are! I LOVE the bright color of these. Such a fun and easy treat!